Donald Trump Jr. and his email controversy are front-and-center on the magazine's July 24 issue, which Time revealed Thursday. The emails show that Trump Jr. agreed to meet with someone he'd been told was a "Russian government attorney" about "very high level and sensitive information" that would "incriminate" Hillary Clinton. Time's title: "Red Handed." 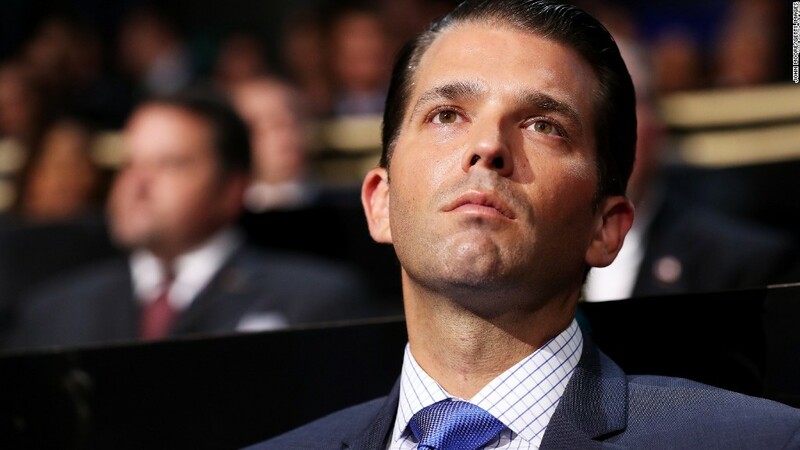 The cover story, written by Time editor-at-large David Von Drehle, explores what kind of damage the email story might cause for Trump Jr. and his father's presidency. The elder Trump has had a longtime preoccupation with Time covers. He was first featured on the magazine in 1989, and he called it a "very, very great honor" last winter when he was named its Person of the Year. Trump even bragged during a speech at the CIA headquarters in January about his cover count: "I think we have the all-time record in the history of Time magazine." Trump's fascination with the magazine has sometimes manifested itself in strange ways. Last month, the Washington Post reported that a faked Time magazine cover featuring Trump had been framed and hung up in at least five of Trump's clubs. After the story published, Time asked the Trump Organization to remove the Photoshopped covers. The magazine has also been heavily critical of Trump since he launched his presidential campaign. Two covers published before the election featured a cartoon illustration of Trump's melting face titled "Meltdown" and "Total meltdown." The digs continued after Trump's victory in November. Earlier this year, Time published a cover that featured chief White House strategist Steve Bannon. It was titled "The Great Manipulator" -- a nod to media coverage that suggested Bannon wielded considerable influence over the president and his White House. And in May, the magazine painted allegations of collusion between the Trump presidential campaign and Russia in stark terms. A cover that month depicted the White House being overtaken by Russian onion domes.